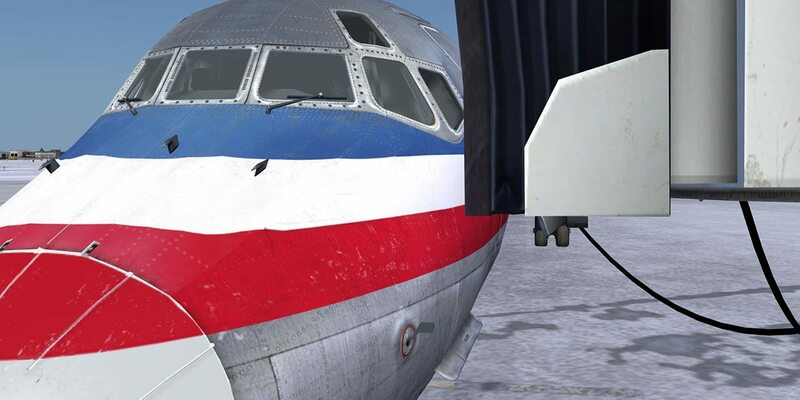 The Fly The Maddog 2008 and later 2010 Professional was an iconic Maddog add-on from the FS2004 days. It was far ahead of its time, offering multi-crew abilities, in-depth study level systems and more. 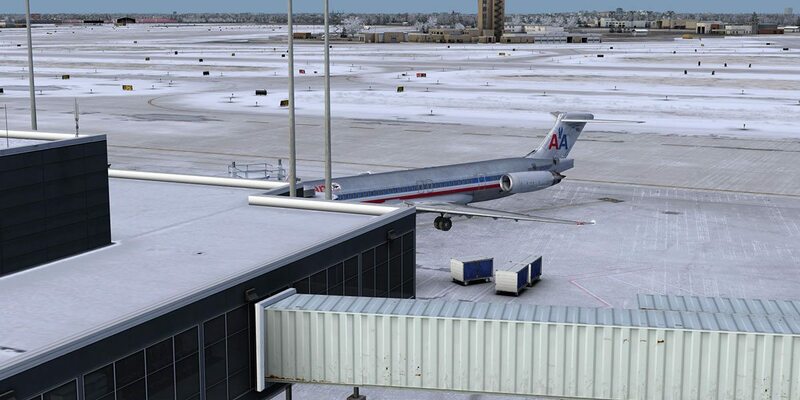 It eventually made its way to FSX and remained the go-to MD80 add-on. 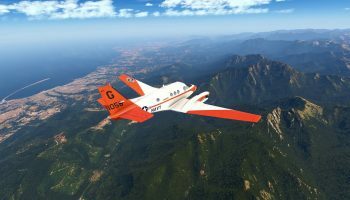 With the release and subsequent major boom where P3D became the main platform in use, the old Maddog fell off the radar. It wasn’t possible to port it over, there was no patch, and the developer seemed to have dropped off the map. 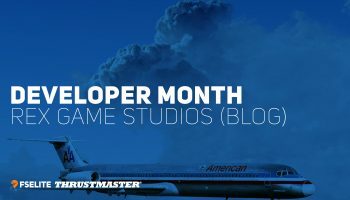 As a big Maddog fan, I’ve always felt that there was a hole in my P3D hangar. 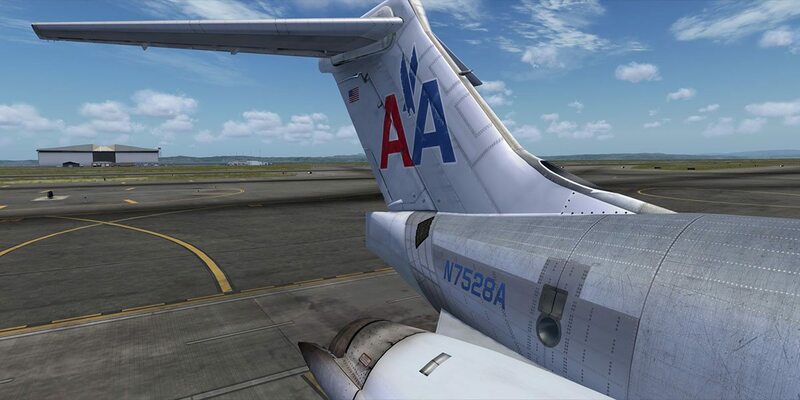 I often found myself reminiscing of the days when I’d load up the old Maddog and take it for a spin with Allegiant, using TOPCAT to load the aircraft and generate performance data. 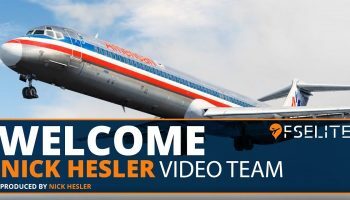 I enjoyed shooting interesting approaches to airports like Bozeman, Great Falls, Kalispell, and others – Montana has some beautiful flying and cool approaches. It was incredible, but that was now missing. Fast forward to 2017, and out of nowhere, Leonardo is back with the announcement that they are remaking their iconic aircraft. I couldn’t be more excited to hear the news! 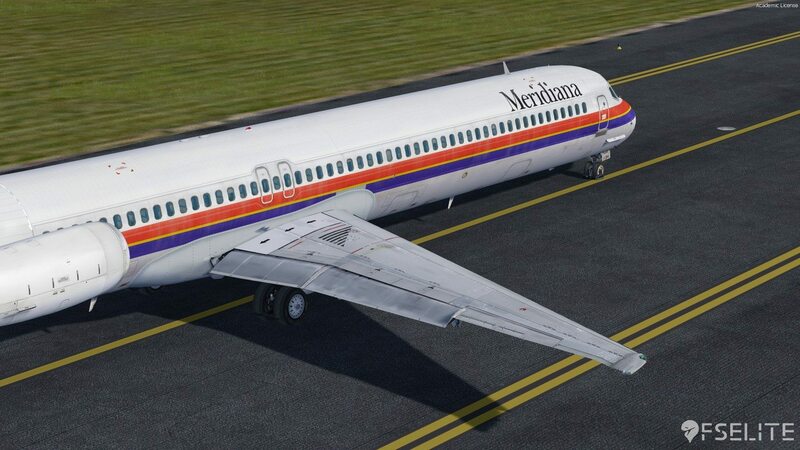 The MD-80 was developed by McDonnell Douglas in the late 1970s through the early 1980s, with the first flight happening in 1979 and the first delivery being filled in 1980. It’s a twin engine, short-to-medium range, single aisle aircraft. 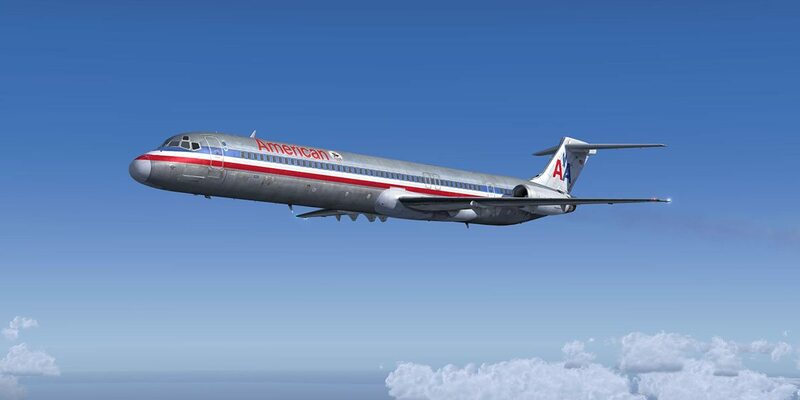 If you’ve ever flown on American in the last decade, there is a good chance you’ve flown on one of these beasts. 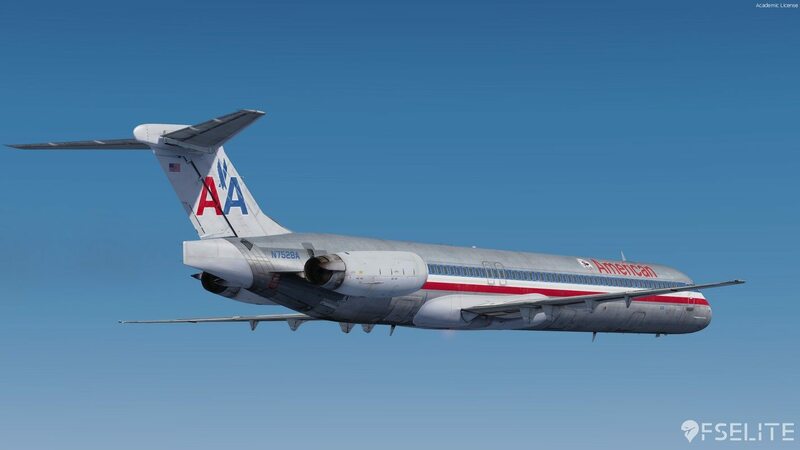 The MD80 was designed based on the old DC-9-50 airframe; McDonnell Douglas lengthened the fuselage and made the wing a bit bigger. The MD-80 series includes the MD-81, MD-82, MD-83, MD-87, and MD-88. 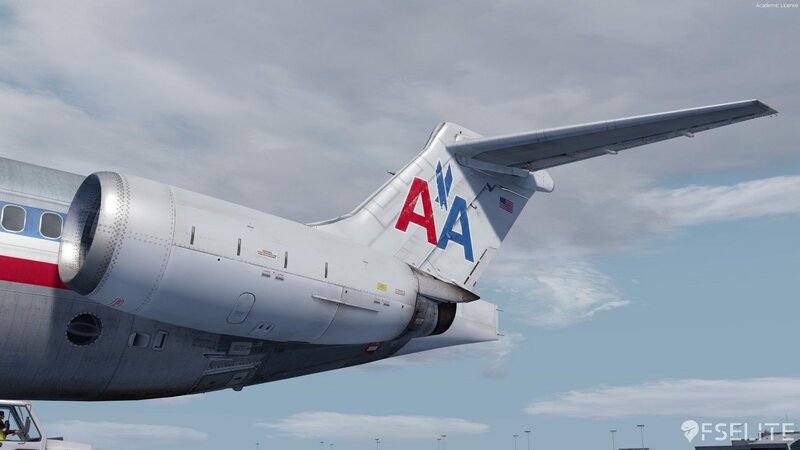 With the exception of the MD-87, all of the aircraft in the series have very minor differences including different engine variants, fuel capacities, weights, and avionics (the later models came with an EFIS). 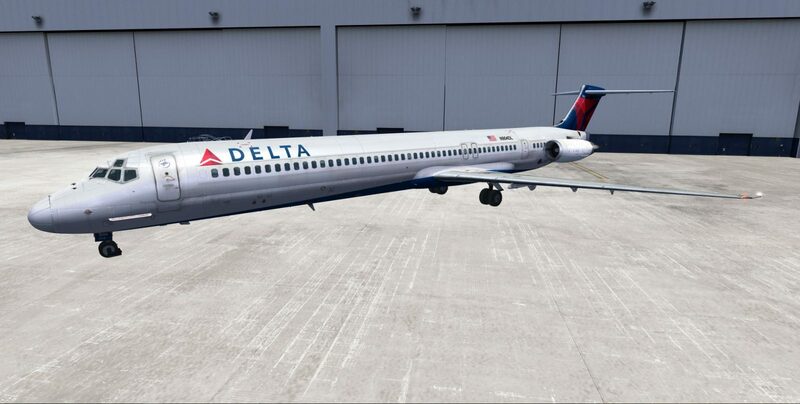 The physical dimensions of the aircraft are the same between variants and airlines have been know to convert one model to another (Delta converted the MD-82 into an MD-88, for example). 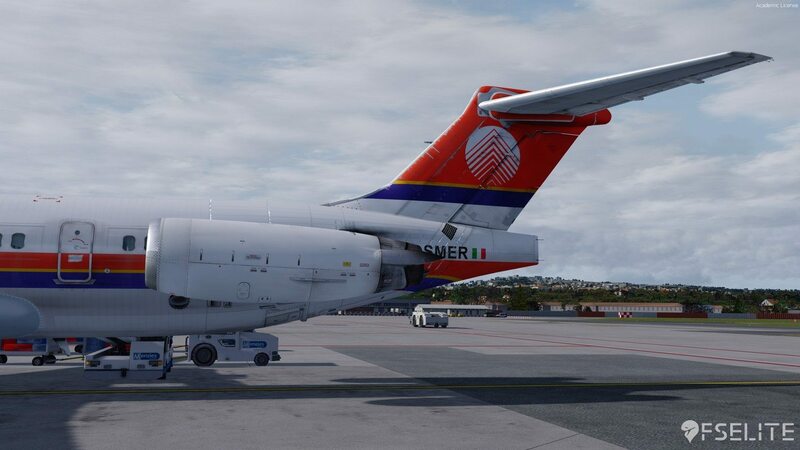 Leonardo SH has recreated the MD-82 variant in their Fly The Maddog add-on. Installing the Maddog is fairly straightforward and easy to do. There is nothing flashy or special about the installation. During installation it will also install TFDi TrueGlass and RealLight technologies. 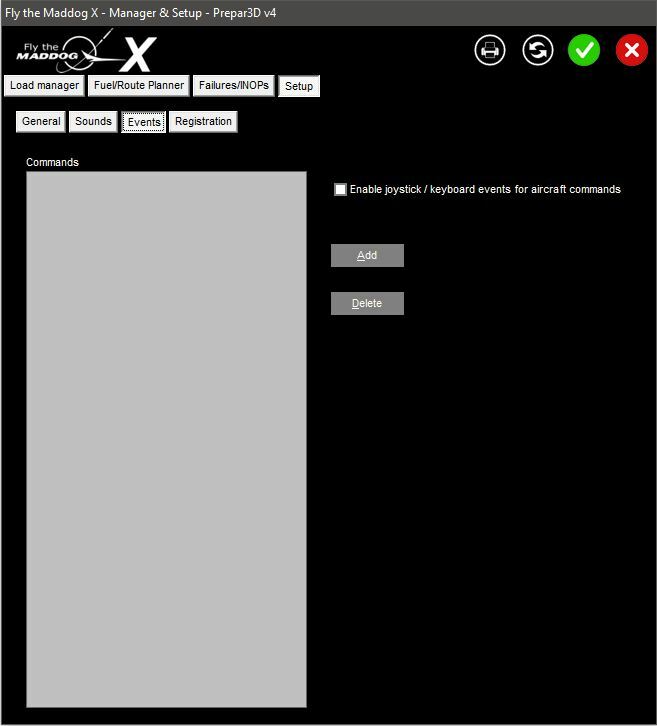 Once it is installed you will need to activate the product in the load manager, just like the old version. 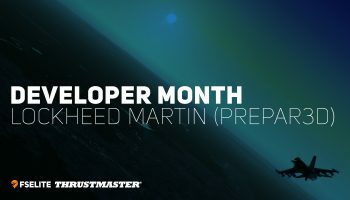 Something of note is that it does install the aircraft outside of your P3D installation, which is the new preferred method for installing any add-on. The load manager is much of the same as its predecessor. In the new version they’ve made it black, rather than the standard Windows grey, and they’ve removed some features like the performance tab where you could tweak the refresh rates of the displays and other features. I always liked that as it helped me fine tune performance for what I wanted. They have also changed a few icons, but otherwise it is the same load manager from before. 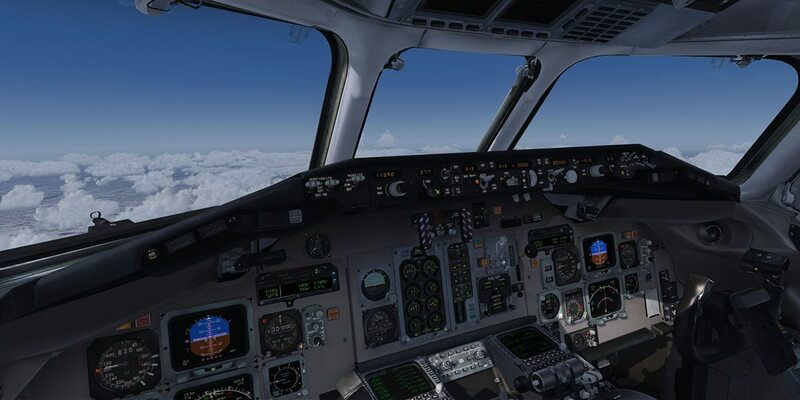 It is important that you set up your preferences for the aircraft before flying; there are no in-sim options in the FMS. 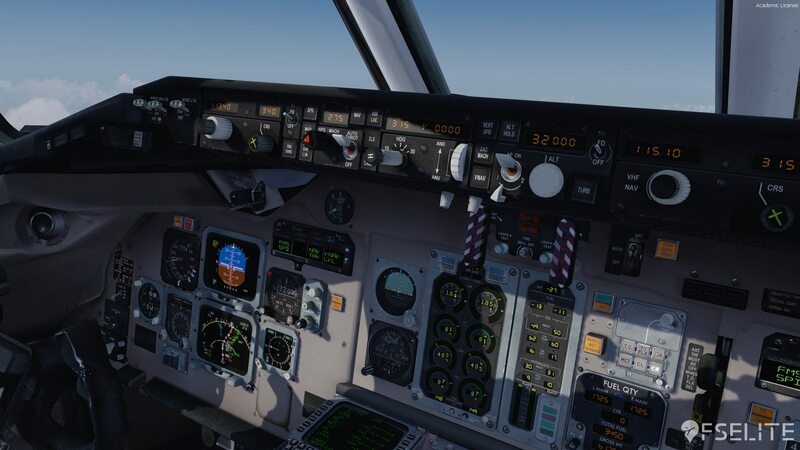 Some of the things I like to do are set auto arm altitude, disable autopilot disconnects when flight controls are moved manually, and others. Check out the screenshots for all of my settings. 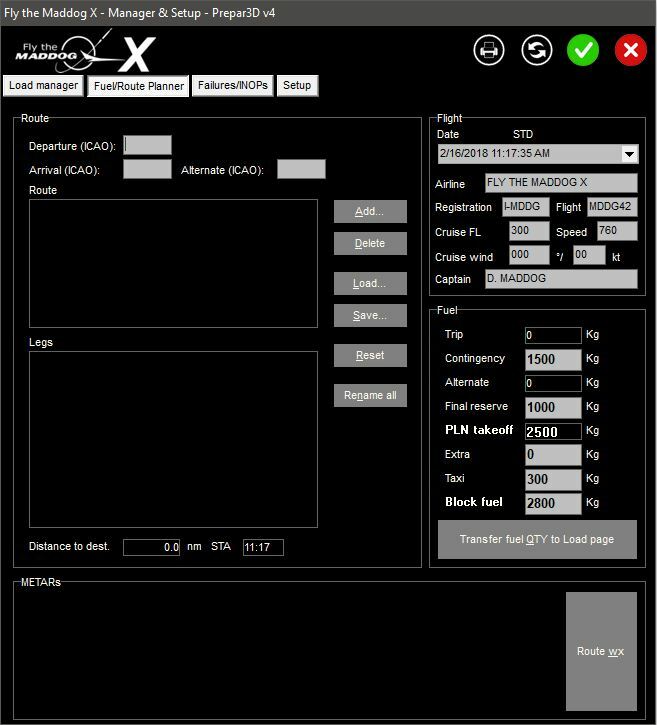 You can adjust the fuel and payload, which really is all you need from this application. While I’m not big on using built in fuel calculators, I figured I’d at least try it out for testing purposes. I’m really not a fan, and I hope TOPCAT can be updated so that I can load that way. You end up having to enter each waypoint one by one, and there is no SID or STAR support, and I found it to be a little cumbersome to use. 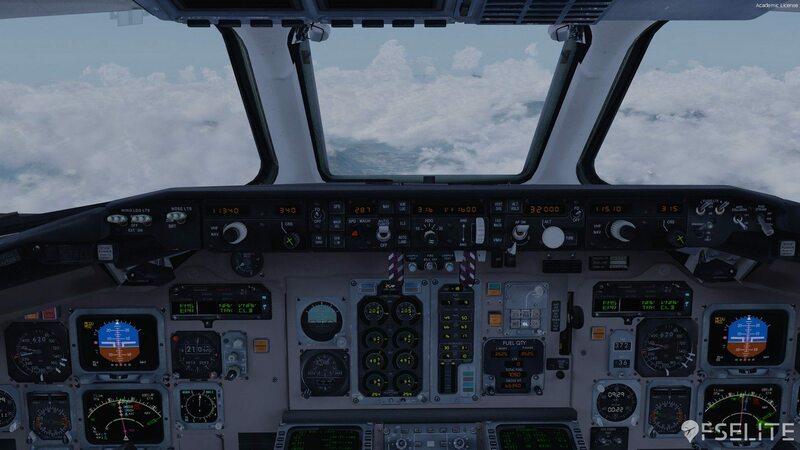 You have full control over the fuel still, but for somebody that doesn’t have much flight planning experience it would be easy to underfuel yourself. The load manager does support two weather radar clients, REX Advantage and HiFi ActiveSky, which it will use to analyze the weather on your route if you so desire. Additionally, you can change the crew audio file sets, but at the time of writing there are only the default Maddog files available. Perhaps in the future either Leonardo SH or the community will release airline specific audio files for this. 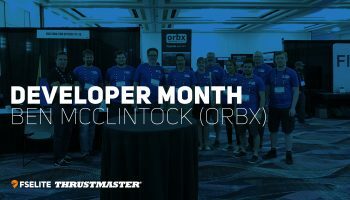 Overall, the load manager is the one spot I hope we see improvement on in the future. The flight planner is not great, the load manager is not great, and the UI is the same dated one from the older version of the plane. 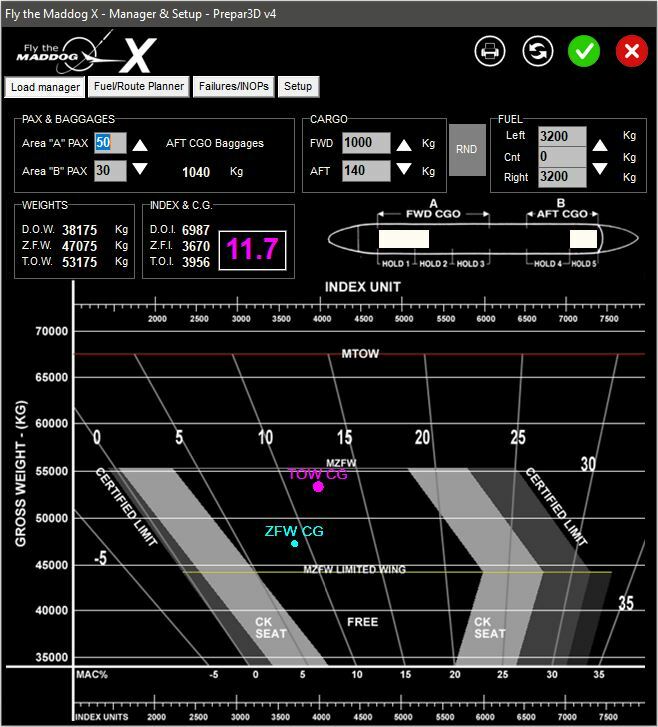 We’ve started to become acquainted to being able to load the plane through the FMS, a tablet, or some internal feature. Even just being able to manually type in a fuel amount and a zero fuel weight into the load manager would be a huge improvement in my opinion. 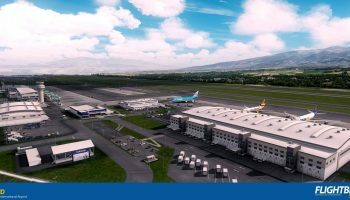 Overall, I think using PFPX or Simbrief are better methods of planning your flight than the load manager in its current state. 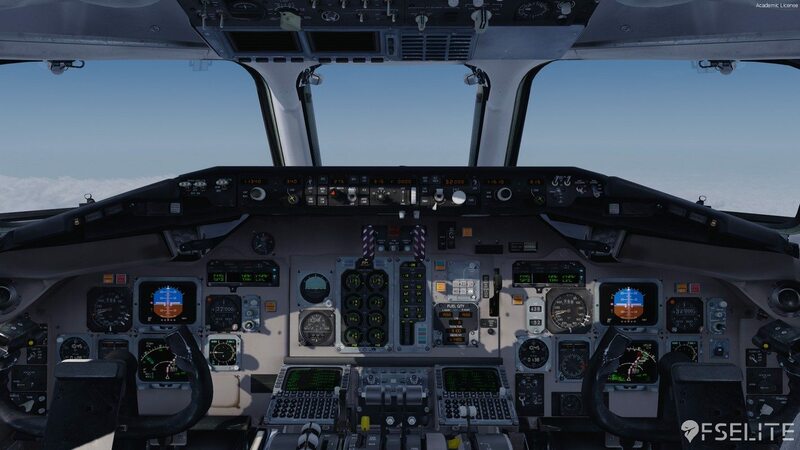 The Maddog does include several different documents including a Normal Checklist, an Operations Manual, a Quick Guide, and a User Manual. The checklist is very good and matches some of the real ones I have. The other manuals are incredibly in-depth and will not only get you up and flying, but proficient with the aircraft. There is nothing flashy about these documents, but they’re very informational and if you’re new to the Maddog you’ll find yourself reading through these regularly. 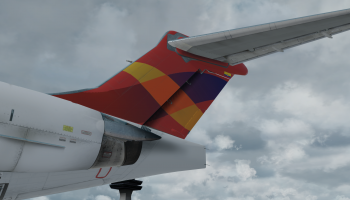 You can also find an MD80 Series Training Notes document on the website which is a very helpful document if you do not know your way around the aircraft, in fact, if you’re fairly well versed in aircraft systems but don’t know the MD80 this will be the perfect place to start. It should be noted that these files are available in English and Italian only. The installer will give you both versions and they are also available on the Leonardo website. Leonardo has brought back this awesome add-on, but it is a bit limited compared to the previous versions. 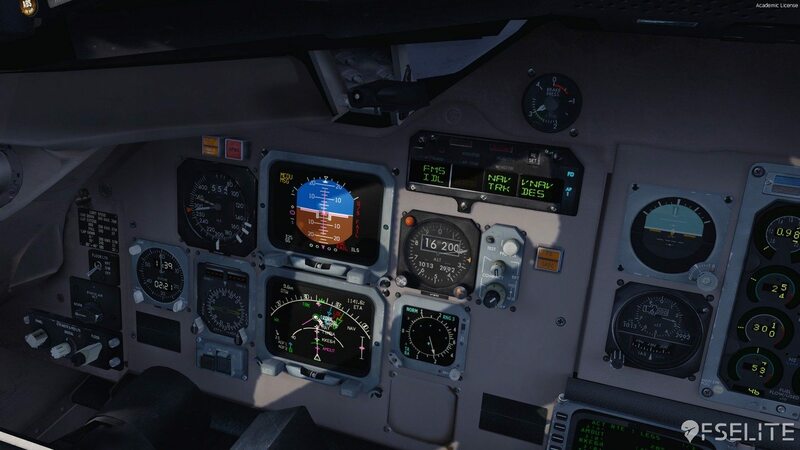 For example, you can’t switch between EFIS or analog panels, you can’t choose between the “pink” or “blue” panel colors, and multi-crew is not included in this new version. It is my understanding that multi-crew will be available in the future, however, I have no timeline for that release. There are some other differences that we’ll dive into, but for the most part Leonardo did a good job of keep the important features intact. Before I get into systems and features, I want to talk about the way the aircraft handles. Both on the ground and in the air the aircraft feels extremely solid. 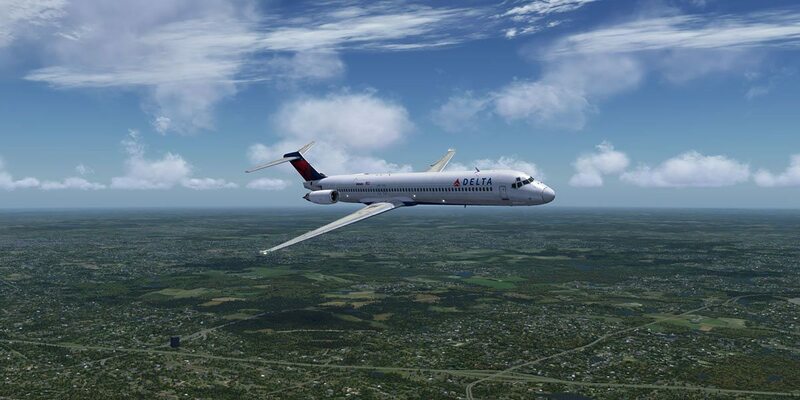 I don’t feel like I am flying some cheap paper plane, or one with made up flight dynamics; the Maddog feels incredibly realistic. You can feel the weight of the plane while you’re in the air, as well as on the ground. It handles nicely in a crosswind with plenty of rudder authority. 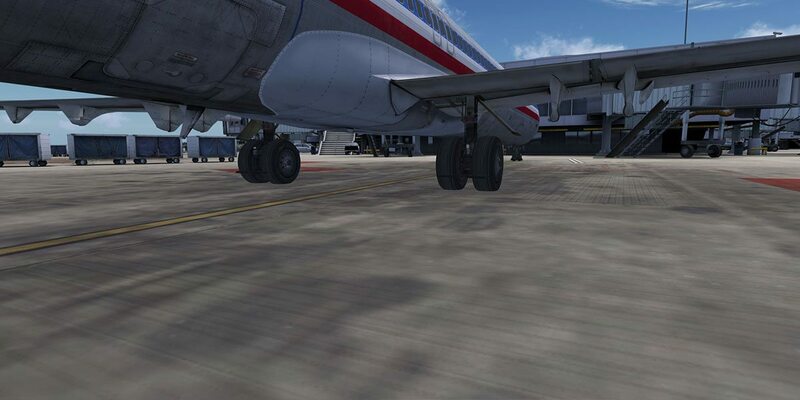 I did kill an engine and land with only one, and it was fairly easy to control the aircraft. 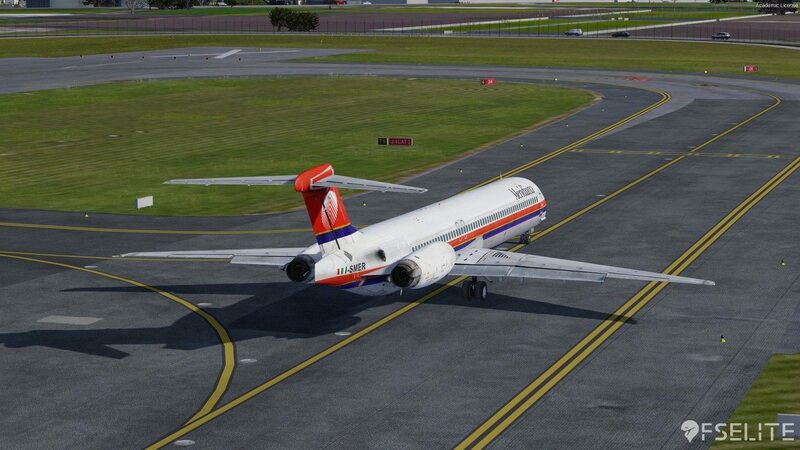 I’ve also conducted a few single engine taxis which seems to behave realistically. It’s fantastic, and I really can’t say enough about it; to really understand you’ll just have to try it yourself. 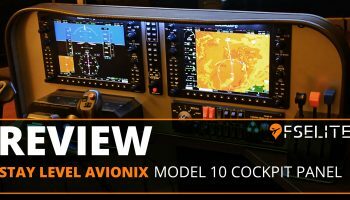 The Maddog does come with TFDi True Glass and Real Light technology (P3D v4 only), which are awesome additional features. 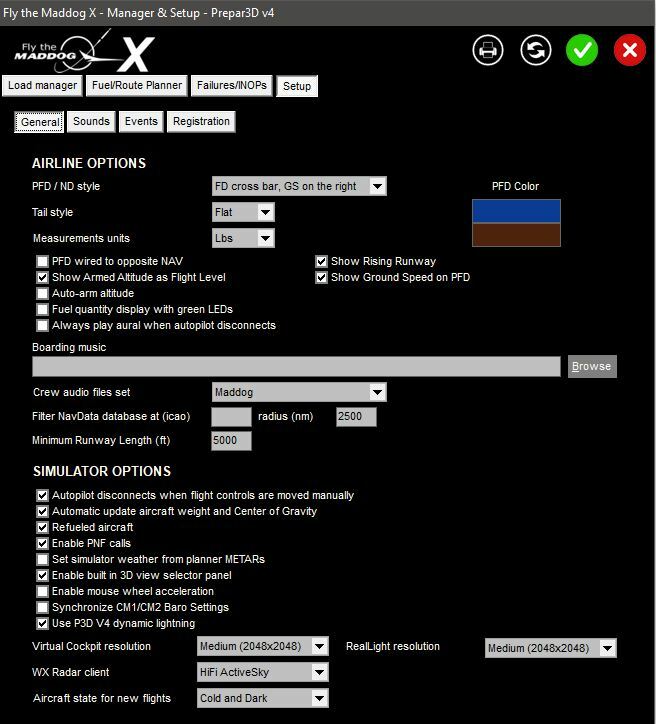 It does support P3D v4 Dynamic Lighting which can be turned off and on in the load manager. 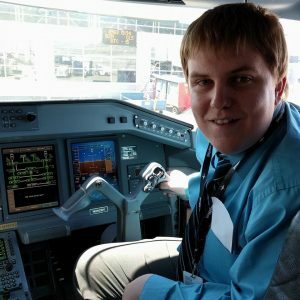 I did an ILS approach to minimums at Chicago O’Hare and True Glass really increased the immersion. It’s the little details that really make this a truly amazing add-on. 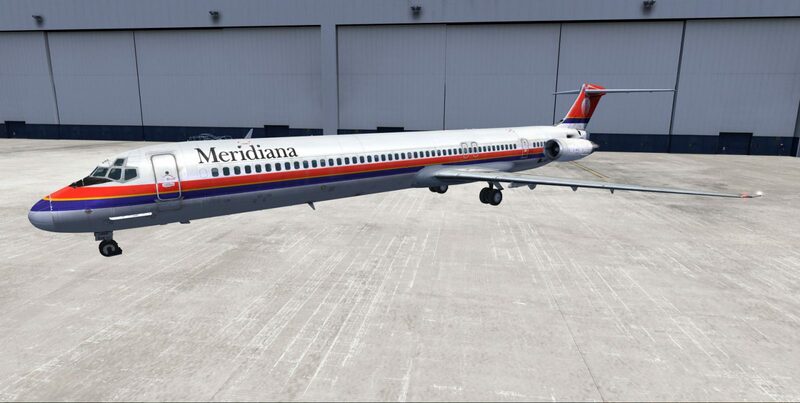 Compared to the older Maddog, this one has had the model recreated, as well as the VC model and the textures to go with it. It is absolutely stunning, both inside and out. I tried my hardest to find a flaw, and I really can’t. 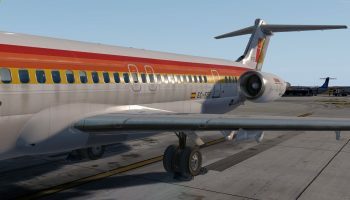 The biggest knock on the old Maddog was the model and textures were…well, not great, and that’s certainly no longer the case. Good work Leonardo SH. They’ve spared no detail on this aircraft either. 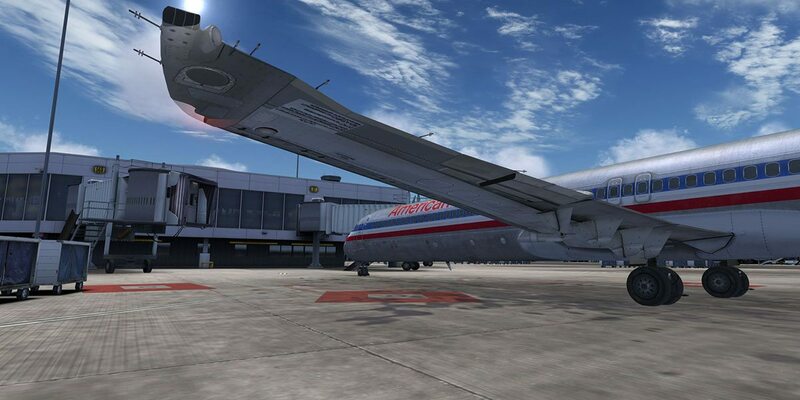 Leonardo SH has created the full stack of custom effect files for the Maddog. They’ve done a fantastic job with the various lights such as strobes and beacons, but they’ve gone beyond just that. They’ve created custom touchdown smoke, vapor trails and wing condensation. In addition, they’ve created custom rain and snow wash effects which you’ll be able to see from behind the plane and on the wheels in the appropriate conditions. When you take off, you’ll see the heat coming from the engines, as well as smoke effects – just like the real plane. These aren’t the overpowering black contrails we’ve seen in the past, as these look fairly realistic. While you’re running the APU, you’ll also see some heat coming out of the APU exhaust, which is cool. I can really appreciate the fact that they’ve left no stone unturned when it comes to the small details. 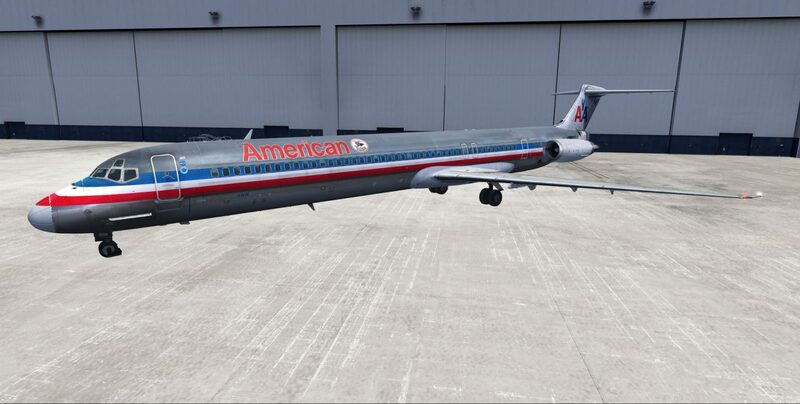 Of course, this has the full Maddog systems modeled. If you’re into doing a cold and dark start, you can do that with this add-on. Just like the old Maddog, the full range of systems is modeled. Everything from a weather radar (which, as mentioned, requires some other add-ons), the full electrical systems including overhead circuit breakers, full hydraulics and pneumatics systems, anti-skid system, autobrake system, Digital Flight Data Recorder, TCAS, EGPWS (aka Bitchin’ Betty), a dial-a-flap system and so much more. The dial-a-flap is a cool feature I always get excited to see modeled. 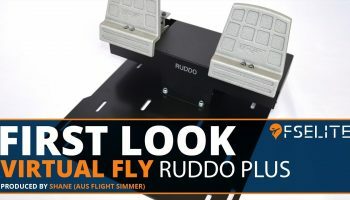 Basically, the dial-a-flap allows you to dial up any range you want for takeoff flaps. When not using the dial-a-flap, you get flaps 11 or 15 for most takeoffs, however with the dial-a-flap you could put it flaps 13 for takeoff, or any other setting. 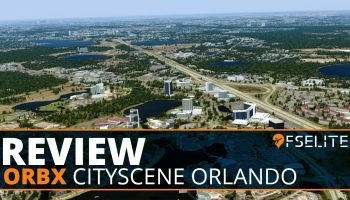 The FMS is well modeled and gives you the full range of features we’ve come to expect to high end study level simulations. 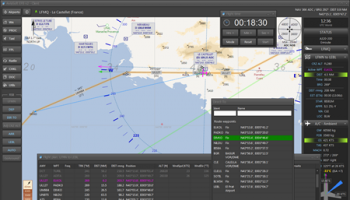 It is compatible with Navigraph, so you can get your AIRAC updates through them. Obviously, you can enter your route and performance data, fly a SID or a STAR, go direct to a waypoint, enter a hold – all the usual stuff. Leonardo SH has added some cool new features this time around, and they’ve really got the dispatcher in me excited. Much like another popular add-on, they’ve added an ACARS function that allows you to do AOC Requests. 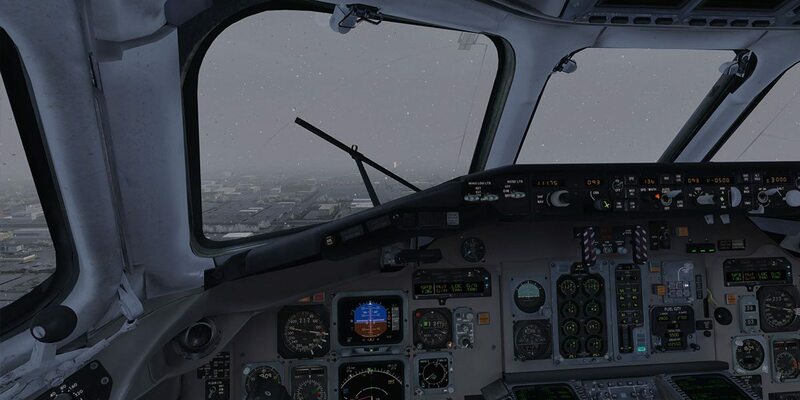 It does require ActiveSky, however, much like in real life you can go into the ACARS and request weather for any airport. It’s very cool and I hope this trend of adding limited ACARS features to aircraft continues in the future. They do have a 2D performance card with V-speeds on it, I think it would be very cool if they would allow us to get performance numbers from ACARS as well. One other cool feature that gets me excited as a dispatcher is the inclusion of MELs. I know a fair amount of simmers may not know what this is, so I will give a basic run down. Basically, when something on the plane is broken or not functioning correctly, the pilots will write it up. In order to save time and keep the flight, as well as flights down the line, running on time, maintenance can defer the item in accordance with the MEL (Minimum Equipment List) book. This generates an MEL on the Dispatch release and then puts some sort of procedure and sometimes restriction in place for the flight. In other words, we fly the plane with this item in question broken. This could be anything from a small light dimmer that we don’t think twice about, or an air conditioning pack that restricts how high we can fly the aircraft. The Leonardo SH Maddog offers 25 different MELs you can add to the aircraft. This will disable the system you select so that you can fly with an MEL. The only downside I see is that I don’t think they’ve made an MEL book available, so it would be hard for the average user to know what restriction that places on the flight. 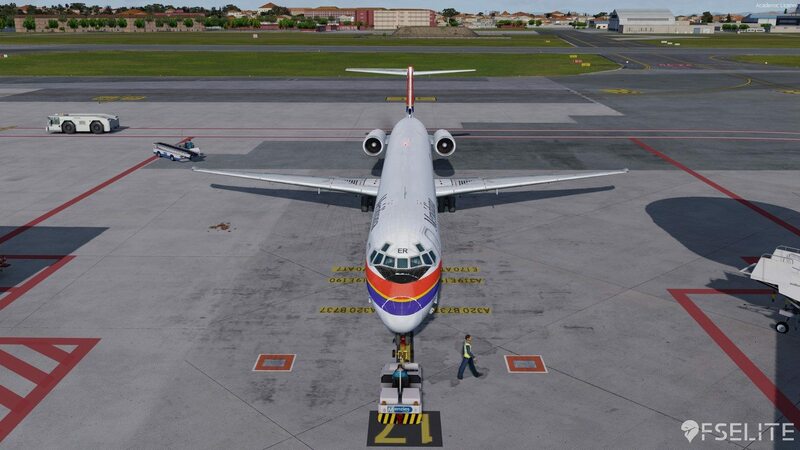 For example, if I MEL the thrust reversers, is there a minimum runway length? What runway contaminants can I land and takeoff on with this MEL? Adding an MEL is a cool way to add realism and a challenge to your flight, but we really need an MEL book from Leonardo SH. In addition to the MELs, you can also turn on failures in the load manager. You can set how long it will take for a failure to occur and it is split up between “light”, “serious”, and “dangerous” failures. 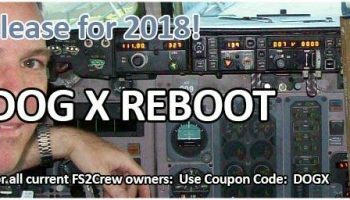 There is no way to script a specific failure that I know of, so for example if you wanted to script an engine failure to occur you couldn’t do that. You can only set a time limit for when each type of failure will occur. 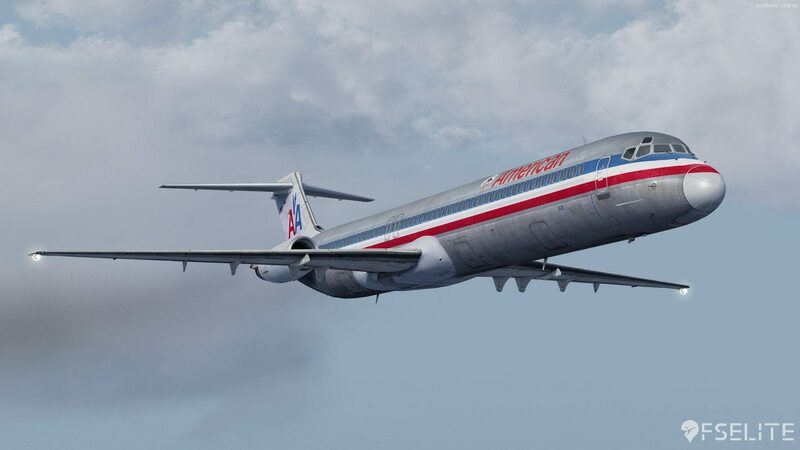 If you’re a previous Maddog owner you know all about “hot starts” on this aircraft, and if you’re not familiar with the term it’s a unique feature we don’t see in many add-ons. Basically, if you introduce fuel during startup too early you will get what is called a “hot start” which is really just the engine burning up. 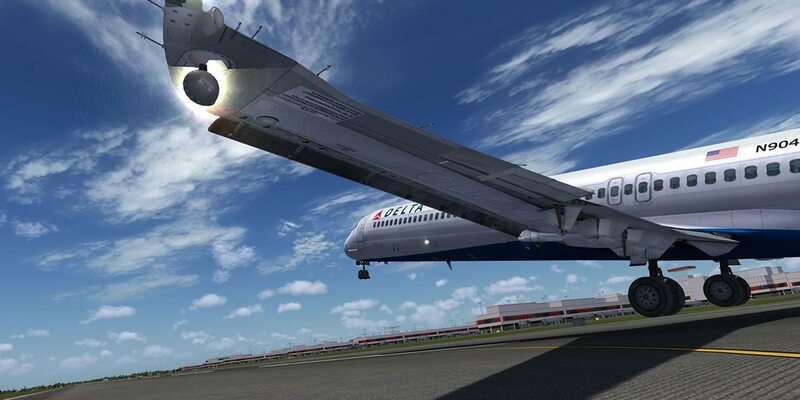 Once this has happened you have shut it off, then allow the engines to cool down before attempting to restart it. 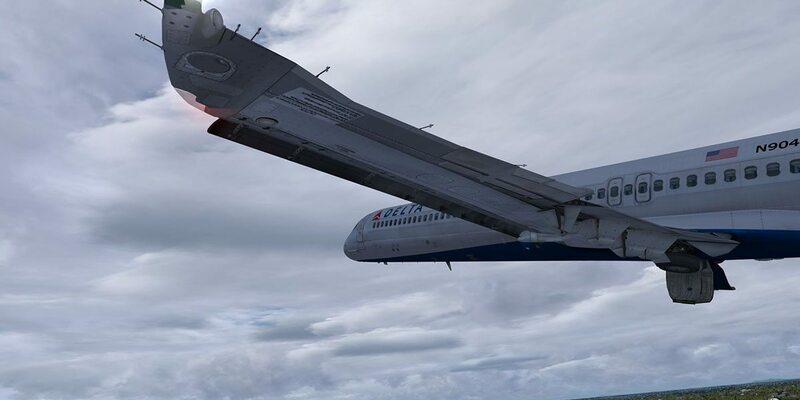 The same sort of thing can happen if you advance the throttles too high during takeoff; the engine will overheat and you’ll eventually lose that engine (or both). In order for these features to work you will need to enable failures. If you want the realistic engine behaviors but not the random failures, simply set the time to infinity for each failure type. The sounds have been redone and are fantastic in my opinion. The engine sounds are fantastic both inside and out. In the cockpit, so far up in front of the engines, you can’t hear as much, and that is modeled in the sound set. It may be strange and seem a bit quiet, but this is how it is, though perhaps a little more wind would be nice. The various system sounds are true to form. The ever annoying aural whine as the aircraft trim changes, autopilot disconnect, warnings, it is all there and it all sounds great. Externally, you get the roar and power of the loud JT8D’s. You can hear the APU running externally as well, which is nice. 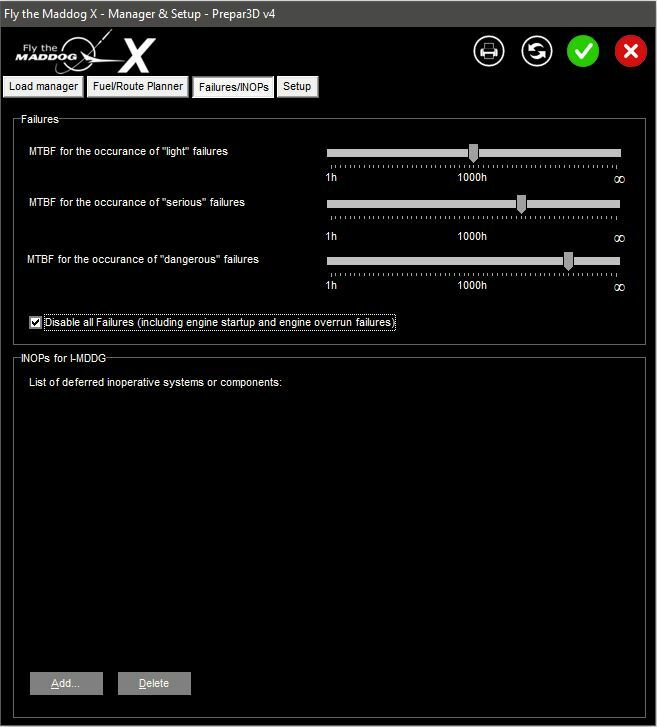 If you find a particular sound is too loud for you then you can adjust each individual sound’s volume through the load manager, under Setup. Lastly, it comes with eight 4K liveries out of the box. 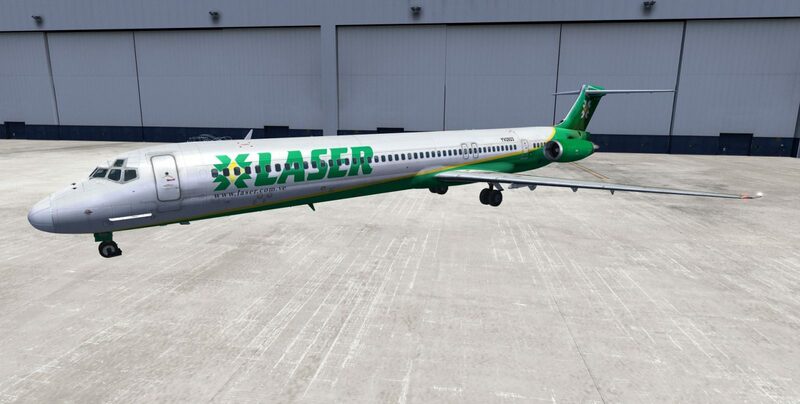 The liveries include American Airlines (N9405T), Alitalia (I-DAVD), Delta Air Lines (N904DL), Laser (YV2923), Meridiana (I-SMER), SAS (LN-RMR), and McDonnell Douglas (N501MD. Of course a paintkit will be out, and I am sure we will see many more liveries painted up for this amazing bird. The performance with the Leonardo SH Maddog was pretty good on my system. I didn’t really have any performance related issues. 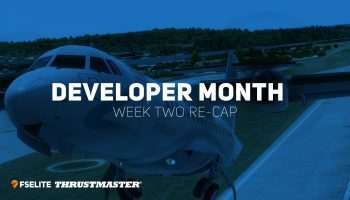 I try to tune my sim for optimal performance with the NGX, and the Maddog didn’t cause any problems. Based on that I can say that this aircraft will perform similarly, if not better than the NGX. 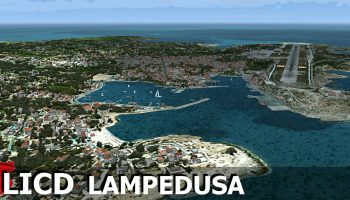 I keep my sim locked externally at 30FPS and was able to maintain 30FPS. The only time I dipped and bounced between 25-30FPS was landing in snowy conditions with the wipers on. Still, not a bad decrease and the only reason I noticed was because I was monitoring it for this review. If you find your system does struggle a little, there is a step you can take to increase performance. In the load manager you can change the RealLight texture quality between low (1024×1024), medium (2048×2048) and high (4096×4096). I’m not sure if there is an option for TrueGlass somewhere else (externally from the Leonardo SH load manager), but you could also look at changing that as well. 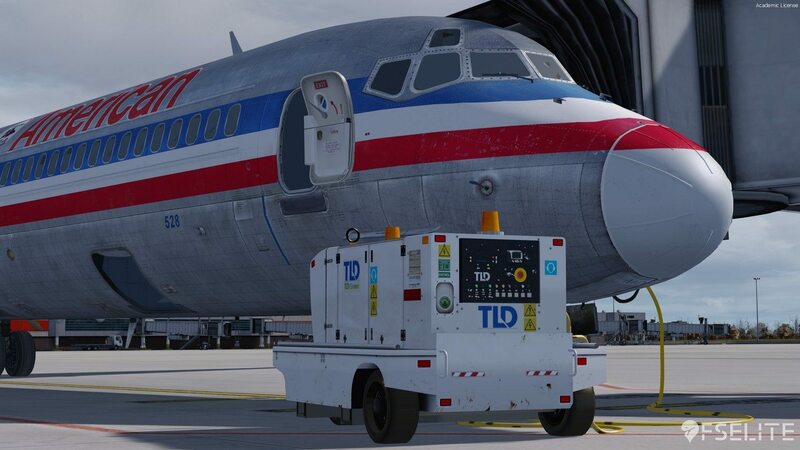 In the load manager you can also disable dynamic lighting if you do not use it in P3D v4, and you can change the VC texture quality between medium (2048×2048) and high (4096×4096). By default everything is set to medium and I left it as is, however if you want to try higher quality go for it! 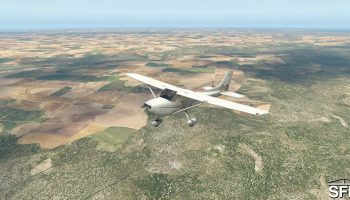 The Leonardo SH Maddog for P3D v4 (64-bit) will cost you 70€ + VAT, which works out to about $87 USD (not VAT) at the time of writing this. 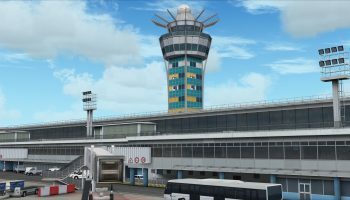 If you’re going to get the FSX/P3D v3 version it will cost you 57€ + VAT which works out to $71 USD (no VAT). 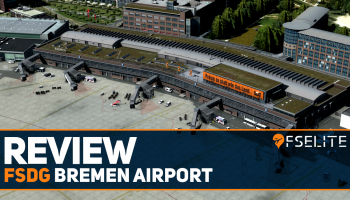 It will be exclusively available at simMarket. 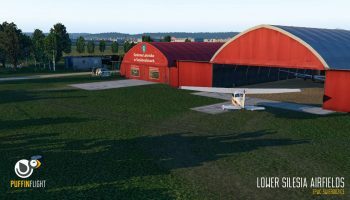 Leonardo SH is offering an introductory 5€ discount through the month of February. 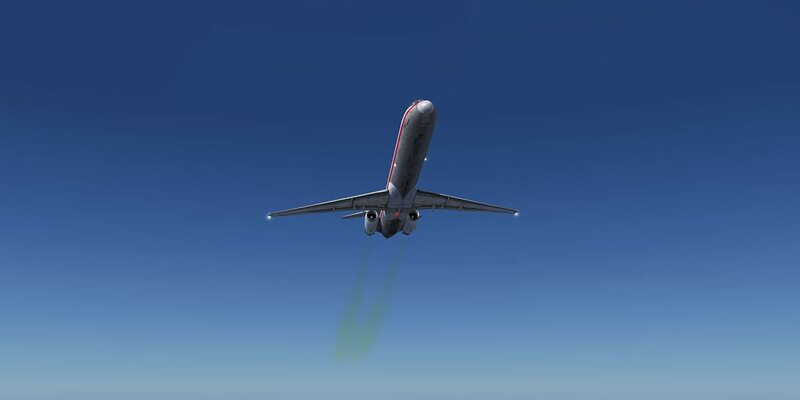 It’s slightly on the high side, however this is a high end study level simulation of the Maddog. 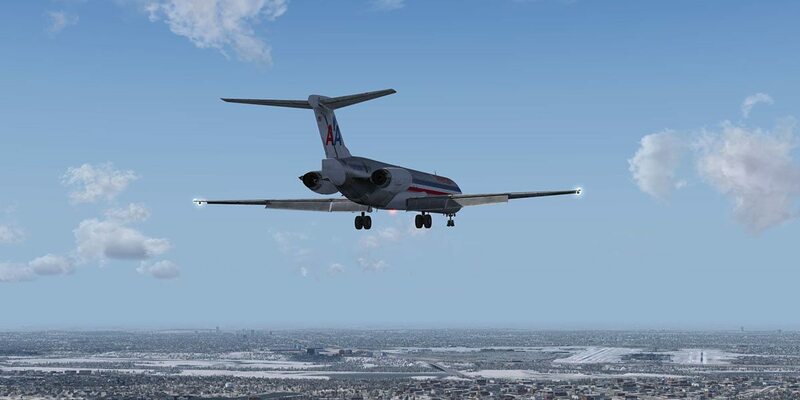 Additionally, if you own the previous version of the Maddog you can get a 5€ discount on the 32bit version of the new version (FSX/P3D v3). When you consider other aircraft of this quality cost well over $100, I think this is an extremely fair asking price for the aircraft. My only gripe here is that you can’t pay once and have it for all platforms. 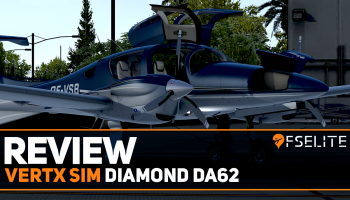 Yes, 64bit and 32bit are different and I can see the reasoning, but if somebody is on P3D v3 today and wants the Maddog they will have to rebuy it for a higher price when they decide to move on to P3D v4. 9.5 Out of 10 How do we score? | Feedback? 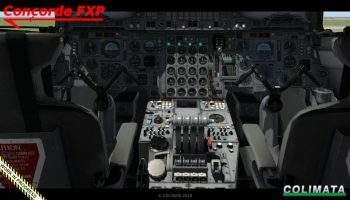 The Leonardo SH Fly The Maddog X is a study level simulation of the McDonnell Douglas MD-82 for FSX, Prepard3d v3, and Prepar3d v4. 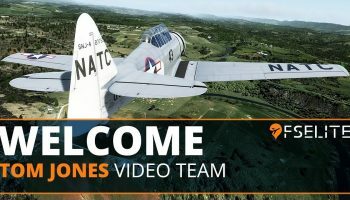 This add-on offers a fantastic combination of high quality modeling, crisp 4K textures, high fidelity sounds, and robust aircraft systems.